Tape drives, card reader, etc. Performance: In the Spring of 1970, about six months after the Multics system was first made available for public use, it was providing satisfactory response to 35 simultaneous time-sharing users. 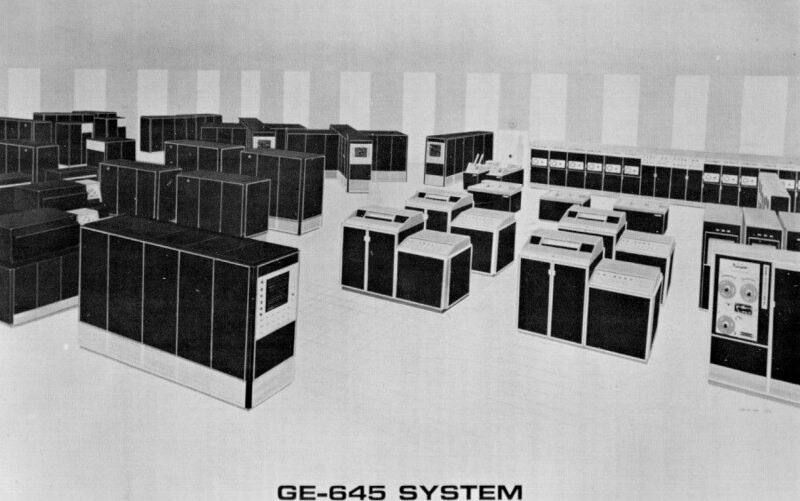 The hardware was upgraded in 1972 to processors that were about twice as fast, and the number of users increased accordingly; the system, with further upgrades, continued in production operation at M.I.T. until 1988. Over the lifetime of the system, 82 different sites ran Multics systems. One of the largest commercial configurations, at General Motors Corporation in Detroit, was configured with up to six processors, had over 17,000 registered users, and could handle 200 simultaneous users. Multics was most notable for the large number of ideas brought together into a single system. Although many of these features had been tried in one or another system, often on an experimental basis, no one had previously attempted to integrate all these ideas into a single production system. Most modern systems can trace their versions of these features directly back to Multics, often via UNIX, which was a direct outgrowth of the Bell Telephone Laboratories participation in the Multics project design. As one example of an idea not transmitted via UNIX,, the one-level store programming interface was picked up directly from Multics by Prime Computer Primos, Stratus Computer VOS, Apollo Domain, Nippon Telephone DIPS, IBM TSS/360, System 38, and AIX, and Livermore's Amber for the S-1. A more extensive list of features can be found in the paper by F. J. Corbato, Jerome H. Saltzer, and Charles T. Clingen, Multics--the first seven years, AFIPS Conf. Proc 40 (1972 Spring Joint Computer Conference) AFIPS Press, 1972, pages 571-583. Posted: May 1996. Last revised: January 2004.